He is the Croatian sensation that scored on his debut for Hamburger SV and has his best years very much ahead of him, but what else is there to know about HSV's summer signing Alen Halilovic? Born in Dubrovnik on 18 June 1996, Halilovic was only 16 years and 101 days old when he made his professional debut for Dinamo Zagreb. In doing so, he became the youngest debutant in the club's history, but that was just the first of many notable milestones in the months ahead. A week later, he became the youngest goalscorer in 1. HNL league history and later Dinamo's youngest UEFA Champions League debutant, as well as the second youngest in the history of the prestigious tournament itself (16 years, 128 days). He is the son of former Dinamo midfielder and Croatia international Sejad Halilovic. Testament to just how highly regarded Barcelona loanee Halilovic was at Gijon, the club handed the diminutive Croatian his very own nickname - 'Guajlilovic' - playing on the 'El Guaje' (the Kid) tag assigned to former favourite David Villa. Putting that particular setback behind him, Halilovic is now looking forward to the opportunities that await him in Hamburg after penning a four-year deal with the Bundesliga's only ever-present club. "Barcelona was a positive experience," the Croatian told goal.com. "I also progressed during my time at Sporting Gijon. I played almost every league game for the team last season. I'm only 20 years old, but I've experience of playing in La Liga and now I'm in the Bundesliga. HSV is a huge club – it has great fans and a [capacity] stadium with a great atmosphere." Sign up to the Bundesliga Predictor for your chance to win! Halilovic will wear the famous no.23 shirt at Hamburg, made famous by former HSV favourite Rafael van der Vaart. The Dutch midfielder, now of Real Betis, enjoyed two stints at the port city club, registering 45 goals and 39 assists in 152 Bundesliga appearances. 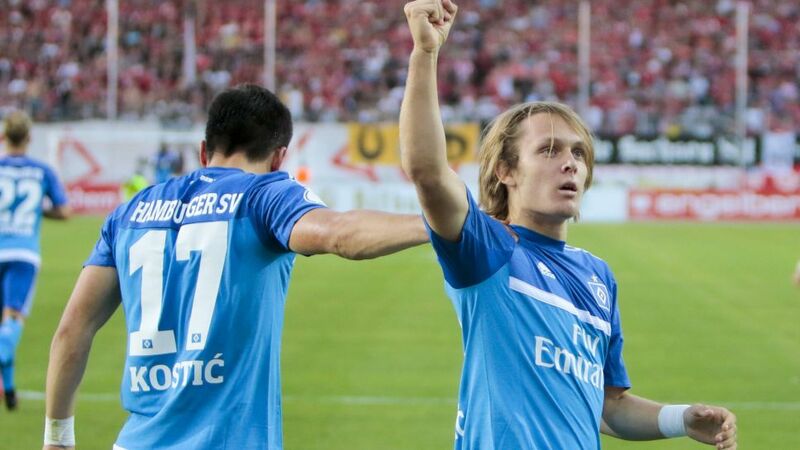 "This is the biggest number at this club," Halilovic said. "I know what it means and I want to give my very best." Halilovic is the 102nd Croatian to join the Bundesliga ranks, and 12th to pull on a Hamburg shirt after Milan Badelj, Ivan Buljan, Ivo Ilicevic, Niko Kovac, Marijan Kovacic, Vladimir Kovacic, Ivica Olic, Andrej Panadic, Mladen Petric, Mladen Pralija and Josip Simunic. "I talked a lot with Milan Badelj, Ivica Olic and Emir Spahic," he revealed. "They say to me that HSV is the biggest club in Germany with Bayern and Borussia Dortmund. I'm glad to share a dressing room with Spahic. He'll be very helpful and make it easier for me to settle."